Because the extender delivers full DVI digital video without compression or conversion, you get pure video displays with no loss of quality. The extender uses CAT6a cable to extend keyboard, mouse, and uncompressed single-link DVI-D video up to 196 feet (59.7 m) at full 1920 x 1200 at 60 Hz or 3840 x 2400 at 17 Hz resolution! It's ideal where you want to reduce environment concerns, such as heat and noise, and ensure optimal temperature control. The extender also delivers bidirectional USB data, enabling USB device extension over 196 feet (59.7 m) on the same CAT6a cable. This makes the extender ideal for distributed workstations where you want to reduce environmental concerns such as heat and noise, such as in post-production suites. The extender supports a variety of USB keyboards and mice and other human interface devices (HIDs) such as touchscreens. Because the extender delivers full DVI digital video without compression or conversion, you get pure video displays with no loss of quality. The extender uses two CAT7 cables to extend keyboard, mouse, and uncompressed single-link DVI-D video up to 165 feet (50 m) at full 1920 x 1200 at 60 Hz or 3840 x 2400 at 17 Hz resolution! It's ideal where you want to reduce environment concerns, such as heat and noise, and ensure optimal temperature control. Alongside fully uncompressed DVI video, The ServSwitch™ Wizard SRX DVI-D Plus USB Extender, Dual Head delivers bidirectional USB data, enabling USB device extension over 165 feet (50 m) on the same CATx cable. This makes the extenders ideal for distributed workstations where you want to reduce environmental concerns such as heat and noise. A typical example of this would be post-production suites. By centralizing your workstations, you can also extend operation lifespan by ensuring optimal temperature control and minimal physical disturbance. The Wizard SRX DVI-D supports a variety of USB keyboards and mice as well as other human interface devices (HIDs) such as touchscreens. 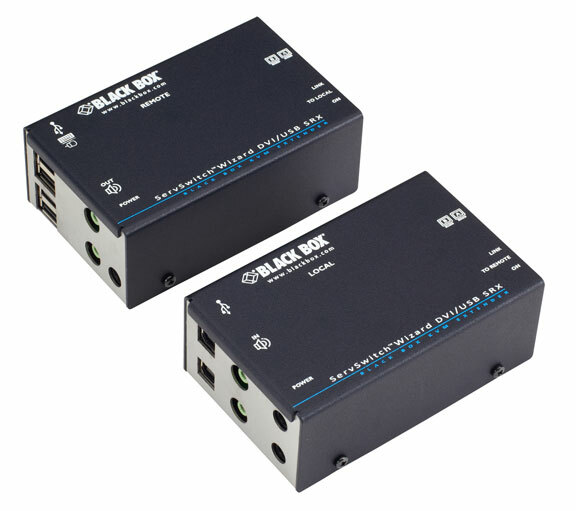 Because of its small-form factor, you can mount up to 16 local or remote units in the separately sold Rackmount Chassis for ServSwitch Wizard Extender (ACU5000A). The local unit of the Wizard can be interface powered if your attached PC outputs do not exceed 500 mA. 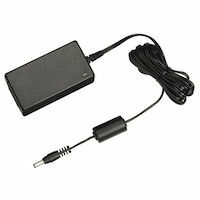 Otherwise, use the spare 5-VDC Power Supply (PS649-R3), (sold separately). 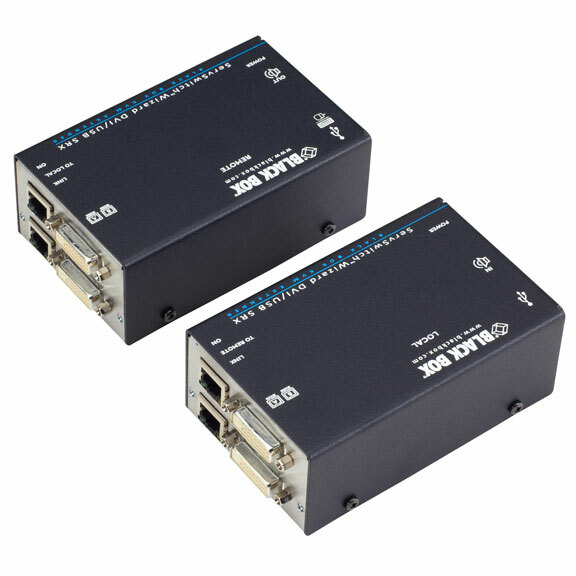 These extenders are not backward compatible with earlier revision levels. The KVM Extender Dual Head DVI-D USB HID Audio CATX Single Access comes with a standard 2 Year Double Diamond™ Warranty (Standard) already included.